I read an article today about a British fisherman who may have discovered the wreck of the airplane that was carrying Glenn Miller. Wow. I haven’t done a lot of posts lately, much less history posts. But today is an important anniversary, and will probably be the last major anniversary for this event in which there are still a number of people alive who remember it. The attack on Pearl Harbor was one of those events that defined my grandparents’ generation, and virtually everyone could tell you where they were and what they were doing when they heard the news. And of course, President Roosevelt’s speech to Congress the following day is one of the most famous in American history. In what could prove to be a huge step forward in predicting how rogue waves are formed, and thus a tool for saving lives at sea, researchers at MIT have found a way to give 2 to 3 minutes warning of an incoming rogue wave. I know it probably sounds stupid, but it’s hard for me to explain how excited I am about this research. So much so that I am tempted to go speak with the researchers sometime (living in Cambridge does have its advantages). But to understand why I am geeking out about this, it might help for me to go into some detail about what we know about rogue waves, and how they have affected ships at sea, as well as oil rigs, lighthouses, and coastlines. This is one of those times that my love of history (especially maritime history) and my love of science come together. 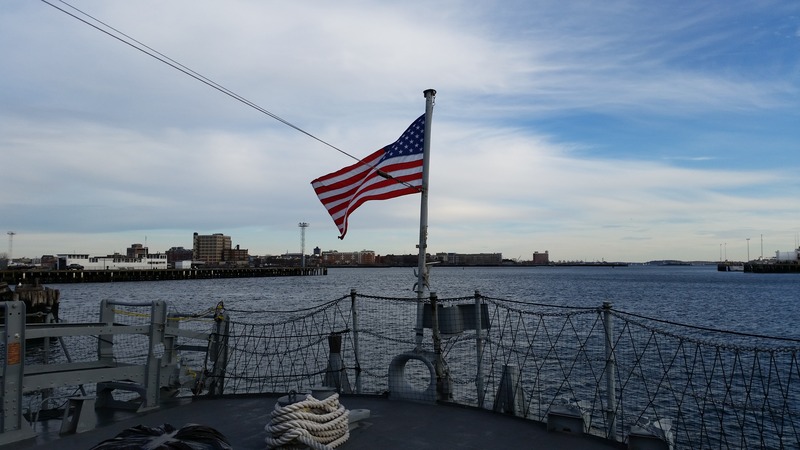 I have been meaning to put up the rest of the photos from my tour of the USS Cassin Young, but I just hadn’t been able to get around to it yet. So here are more of the photos from the tour, in no particular order. Good people make mistakes. It happens. No one is perfect. How we acknowledge those mistakes, and how we try to make amends, that is what’s critical to getting along with everyone, especially those who are harmed by our mistakes. It makes a world of difference whether we recognize the harm we sometimes do as individuals, as organizations, and even as nations. And that is why it truly pains me to see groups that I believe in make bad, even horrible mistakes, and then fail to do the right thing afterward. It is just heartbreaking. And lately it seems like it is one after another.